The idea was simple enough. The yearly university ski trip was a bit earlier than usual hence my regular ski buddy couldn’t make it. He was already in the Alps at his parents place and couldn’t make it back in time to join our trip (it’s alright for some isn’t it). 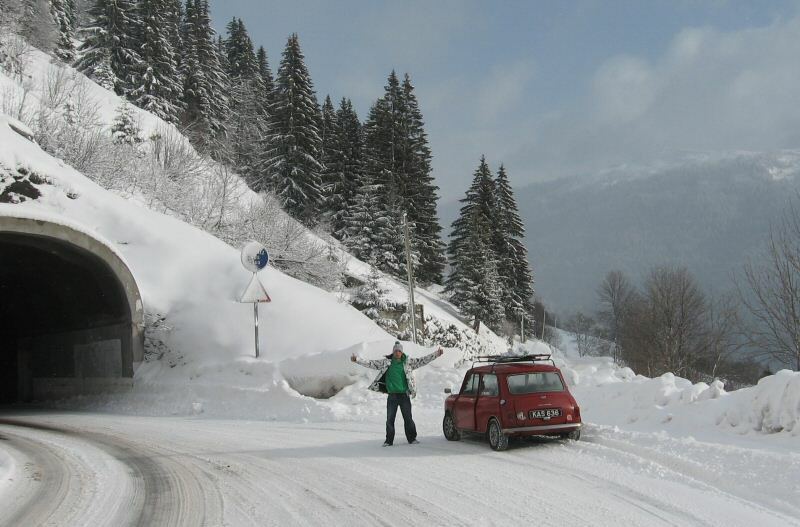 This gave me the perfect excuse to do something I’ve always wanted to do – drive my 1960 Mk1 Morris Mini-Minor to the Alps. She goes everywhere. It isn’t one of those cars that never sees the road, it’s the only car I’ve ever owned and its been in daily use with me, and my brother before, since restoration in around 2000. In that time it’s been to Norway and Sweden in 2006 with four passengers. Various holidays around Britain. College or university and back every week day. Work and back every weekend and during the holidays. Le Mans in 2008. The Arctic Circle in Norway with three of us and our camping gear. So just me, Kris and a snowboard over 2000 miles shouldn’t be a problem then. The satnav informed me the return journey was 999 miles from Tignes Val Claret to my house near Consett, County Durham. I left home on 30th December in heavy snow which had already been around for weeks and stayed the night in my student ‘shed’ in Cambridge. 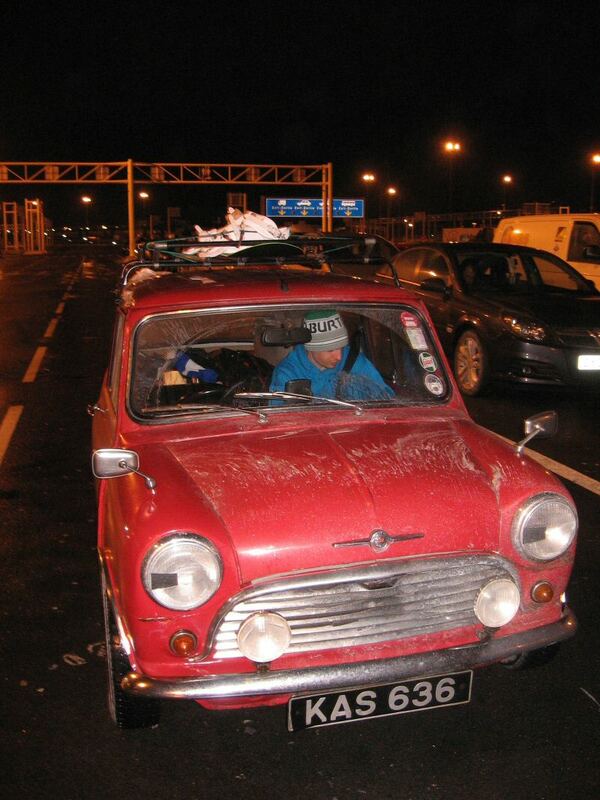 The 5am ferry from Dover on New Year’s Eve all went smoothly and I progressed across a chilly and lightly snowy northern France (yes it is boring – no offence of course). 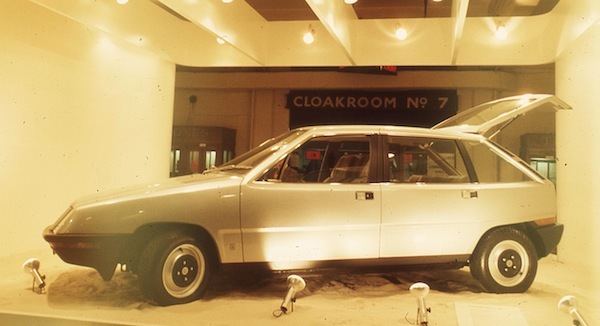 It had been at the back of my mind for a while the car didn’t seem to have quite the oomph it used to have. It’s by no mean standard but my rule is no modifications that can’t be changed back easily. 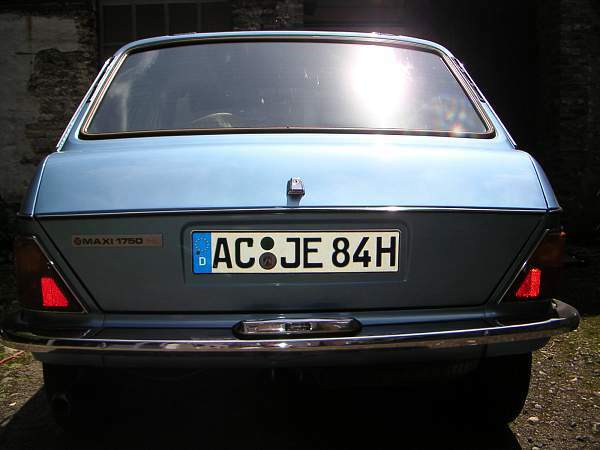 This includes sensible modifications like 8.4in discs, 12in alloys and some pleasant engine mods to keep up with the traffic more easily – she’ll cruise along happily at 70mph (but no – I haven’t stuck a 1275 engine in it!) As I cruised past Reims the rain came thick and fast for hours with no problems except that drip on the front screen. As I stopped for petrol after Troyes I couldn’t help notice it was lacking and a bit rough at the bottom end. Hmmm. There are certain joys to driving a car with a five gallon tank over vast distances. The fuel gauge is surprisingly very accurate and means what it says but the last quarter of a tank seems to go very quickly indeed. Hence, pulling into a service station after miles of concern to hear the electric fuel pump frantically pumping air caused me to have a small celebration – the maximum possible distance on one tank without the embarrassment of having to get the can out at the side of the road! After Dijon it became apparent something was wrong. 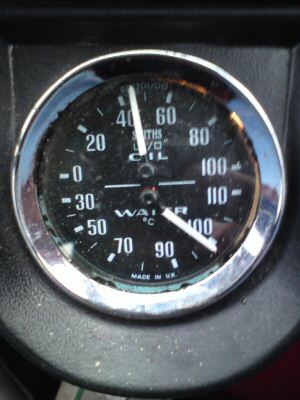 The water temperature was constantly around 100 degree C despite removing all of the winter insulation (read: pipe lagging) from the grille and slight motorway inclines caused slowing to around 55mph. And it was now pretty rough when pulling away – almost like being in too high a gear. 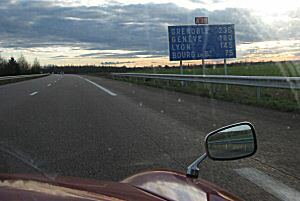 The Autoroute Blanche was causing much stress as the roughness of the engine below 3000rpm was requiring a change to third at 50mph for the long climbs – it makes you feel guilty when you know something is wrong but despite fiddling at every stop I couldn’t make it any better. The early favourite was a jammed vacuum advance but it seemed to be working fine. As I left the main road after Geneva and headed up a spectacular D4 road through a gorge towards Le Chinaillon I was still feeling guilty but having a lot more fun. As long as I kept the revs up a bit I was hard pressed to tell there was much wrong as I chased a local in his Renault Twingo round the bends pushing the (£15 each!) Colway Formula Thermal snow tyres to their limits on several occasions. Great fun. I arrived in Le Chinaillon early evening greeted by a bit of snow and some great fireworks. I battled through crowds in the village to the apartment, which conveniently had an underground car park. Perfect for having a look at the car – once we get thee New Year drinks on the balcony sorted anyway! The diagnosis? Well since I could pull the second plug lead off with no difference in the engine note and there was nothing wrong with the HT side of things the diagnosis was simple. A knackered valve – oh dear. The second cylinder? The one with the damaged plug back in August! A lot is starting to make sense now – the mysterious plug incident, the lack of performance. Still I thought – its going well enough and once we’ve got where we’re going its overall downhill back to Calais. So a day of R&R for me in the leisure facilities. Meanwhile the weather busied itself laying down about 8 inches of snow – perfect for the upcoming weeks skiing. Later that night some of the family were flying back from Geneva airport with the rest following in their Vauxhall Zafira with luggage etc. A call came through later from Kris’s Dad who was returning from the airport run. The snow had beaten him and he couldn’t get the snow chains on. He was a few miles down the road – could we help? Always enthusiastic the Mini was stripped of unnecessary luggage and would have been off… except we didn’t have the control to open the door to the underground car park. After asking someone to do it for us (in our best terrible French) we were refused – essentially they thought we were stealing the car! So the approach was taken to get someone to open it from the outside so they didn’t realise what they were doing. Picture the scene – a snowy, steep ramp. The button is pressed, the door starts to open. The lights come on and a Mini comes out like a greyhound out of a trap in a (reasonably controlled) slide round the corner with driver’s door coming open and having to be grabbed half way. Very Mr Bean. A diagnosis in the underground car park, Le Chinallion. Off down the mountain we headed – nice and steady with the summer Yokohamas on the back making hairpins interesting but still quite fun. Oh how we laughed and pointed when a Renault Clio impatiently overtook us only to find he had spun out on the next corner! In the end we found Kris’s Dad and decided to give it a go without the chains now the snow was more compacted and he had the weight of someone else in the front. I follow him back to the resort and while he leaves the Zafira on the main street the Mini powers (with the little power it had anyway) back to the top of the hill and back into the car park. The next morning after being assured we couldn’t use the leisure facilities on changeover day (boo-hiss-boo) we get an earlier start than planned. A clear and chilly day, a lot of snow and well below freezing. Perfect for driving a Mini with a snowboard on the roof through the Alps. 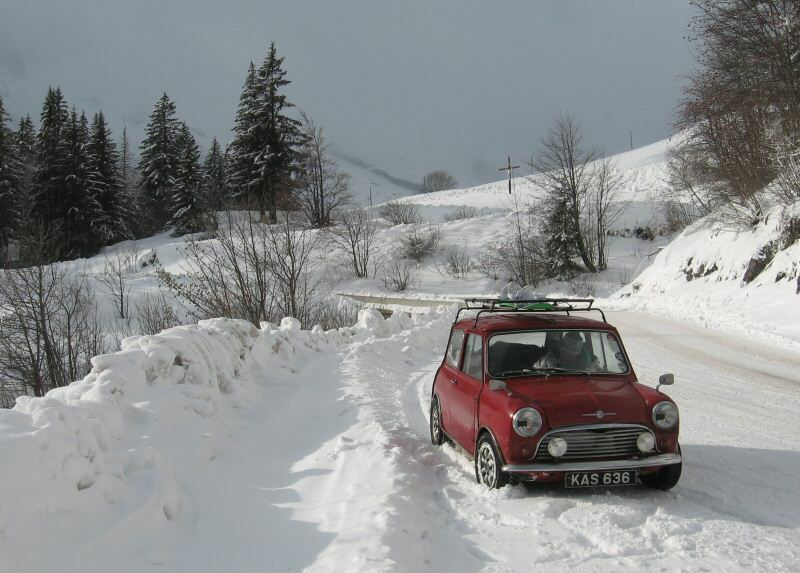 We headed for the Col des Aravis above La Clusaz fully expecting to have to put the snow chains on – something of a worry with the clearance left by the 12in Minilites. The road became snow covered and very deeply ploughed at the sides. The temperature dropped to -10 degrees C. No problems at all and hilarious fun on the bends going up and coming down with the exception of some fervent handbraking sending me all the way round and into the snow bank. Actually – even that was fun. Three-pot Mini to the rescue. New Years Day, 2010. We cruised along to Bourg-Saint-Maurice and stopped for shopping (more weight, great) and a final fill up. Then the mountains proper began as we started to climb the D902 up to Tignes Val Claret at 2,100m. Performance was still surprisingly good as long as you kept the revs up in 3rd and 2nd and kept moving – easier around tight bends in a Mini than most cars. We weren’t holding anyone up and the cold air (-12 degrees C as we drove over the spectacular Tignes Barrage) was keeping the engine nice and cool. Then we hit a queue! Very odd as the road to Val Claret really is the road to nowhere. We were stopped in a small tunnel for about an hour and waited and waited. The problem eventually seemed to be people stopping to put chains on. While there is a stopping point to do this further down the mountain there was very little snow there so clearly many had pushed on without and been caught out. This queuing caused great problems. Trying to get a sick, well loaded Mini with serious horsepower problems to do a hill start on a steep alpine pass is a work of art. Revs – clutch up – not enough – more revs – clutch up – rolling – dying – slip clutch and foot to floor – rolling faster – clutch up – shudder shudder – and we’re away. Time after time but luckily the clutch is recent and they’re cheap enough. I felt very guilt indeed but it never smelt of burning thankfully. We also manage to cruise past all the queue causers trapped at the side of the road in a 50 year old car with no problems. That made me feel much better. So, with the temperature at -13 degrees C and a biting wind we arrived and parked up for the week. Col Des Aravis. Fun fun fun! A pretty cold week. A few nights the gauge outside the hotel showed -25oC as we went out in true student fashion dressed as surfers and other inappropriate dress. A heavy fall of snow midweek (about 16 inches) had made the car pretty hard to find – it really was a case of remembering where you put it and having to rub the number plate to see. Our Saturday morning departure meant I thought I had better free the car from its snowy cocoon on Friday night. Having been so cold for so long who knows what would happen. I’d made certain modifications for the cold of course. 50% antifreeze in the cooling system. 15w50 oil instead of the usual 20w50 (a datasheet check had shown the 20w50 I used wouldn’t pour below -21oC so something thinner was in order!) The really concern was the battery. Was the four year old Lucas 4 Supreme up to the job? It had never failed me but I had noticed it didn’t seem to have quite the spirit it once had. The results however were spectacular. I even had the pleasure of a small crowd of coach drivers waiting to see if she’d go. In the words of the BMC testing films ‘They take days to freeze up the car. But then of course the question is will she start? Of course she’ll start!’ Although she won’t necessarily drive out without a bit of shovelling. Saturday morning – and a bitterly cold start after a light snowfall the evening before. The heated screens take a few minutes to get things defrosted at -18.5 degrees C with the alternator from a 1985 Metro Vanden Plas. You can depend on your Morris. Even when you’re greeted by overnight lows like this. We loaded up and got a head start of about half an hour on the coaches. The side windows are cleared time and time again but it just comes back – the original recirculatory heater can’t keep them thawed below about -5 degrees C and it was a long time until it became that warm. 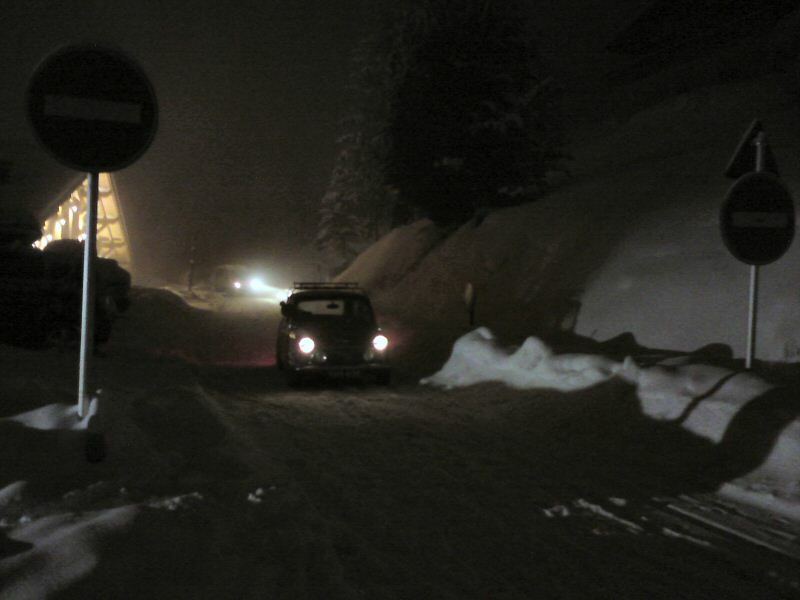 We headed back through the much more snowy Alps making a steady 65mph mainly although less on the hills. At one point we entered a motorway tunnel and see a snowplough coming the other way and wonder what he’s ploughing. The question is answered as we emerged into much thicker snow and lost a lane of the motorway. 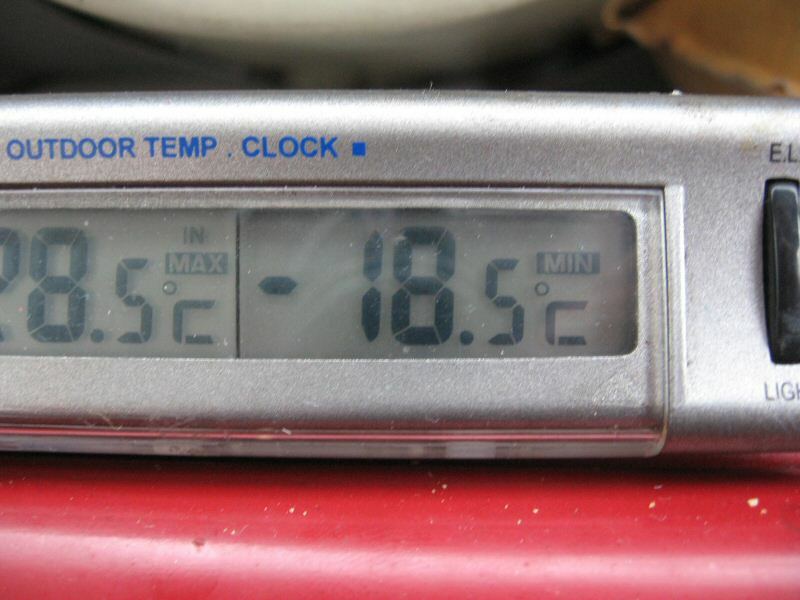 The temperature stayed around -4 all the way back to Calais practically. The heated front screen paid for itself easily as sometimes the spray would freeze to the screen instantly but was easily cleared. I doubt the heater would have managed that on its own. 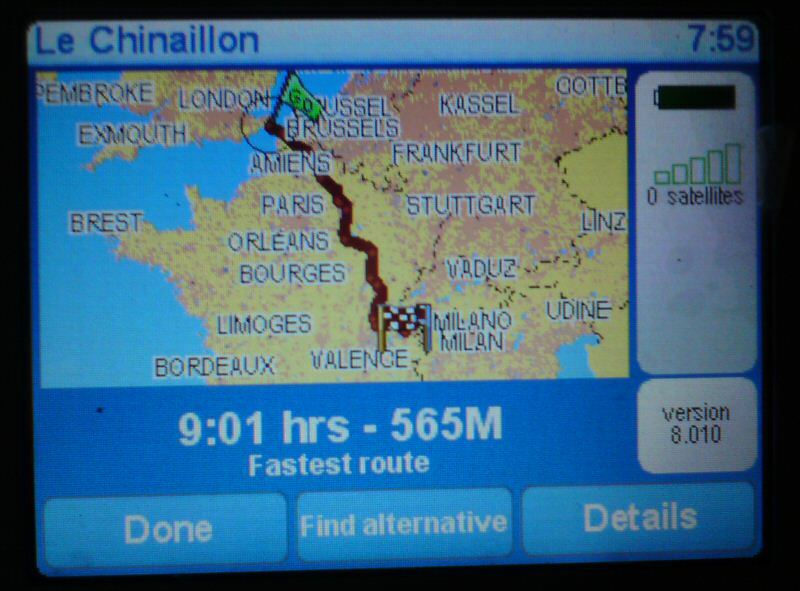 Progress was good as we passed Dijon and then a cough. Oh dear. The coughs became more frequent and eventually we had to pull over at one of the lovely Aires at the roadside. As I sprayed the distributor with WD40 (first guess) and had a coffee a man in a Renault Clio pulled in, seemed far too friendly and started trying to sell us drugs. Terrific. 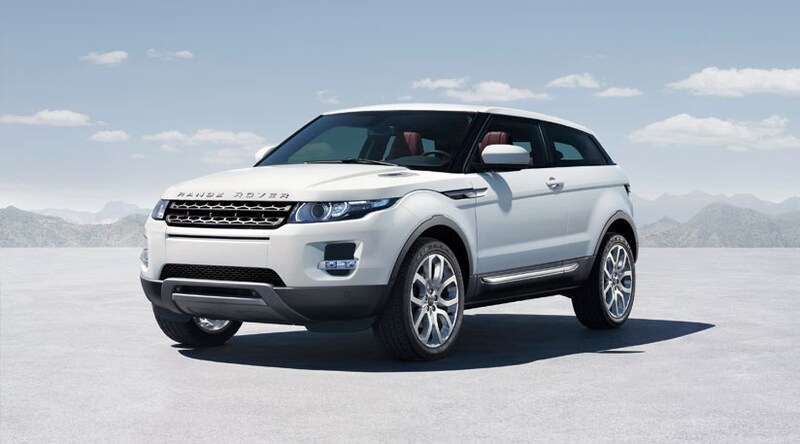 I was very glad to get back in the car and have it start first time and run smoothly. We ploughed on with the coughing reoccurring. I even changed the cap and the rotor arm and it made no difference – it just came and went occasionally – sometimes worse than others but was usually cured by a five minute break. Water/ice crystals in the petrol or my Petronix ignition packing up? And so we arrived back at Calais and found we were actually on the same ferry as two of the three coaches! At least we beat one of them. I was then able to celebrate the arrival of my 22nd birthday on the ferry with a sandwich and a cup of tea. Classy. Although I had RAC cover for Europe (£90 for 10 days) I didn’t intend to use it unless I had to. Their policy is they will repair before recover but I always do my own work on my car and I didn’t want the hassle of it being stuck in France. Now we were back in England though it seemed pointless to push on with such a sick engine. A final bout of coughing led me to call it a day in a snowy lay by next to the A2 around Canterbury (350 miles to go to home). I called in the RAC for the first time ever to be told that due to the coldest winter in 30 years they were rather busy and may be two hours! I’d sooner try and fix it at the side of the road I thought. However, they soon called back and asked if I would accept a courtesy car. This seemed the best option so we were recovered to Eclipse recovery, Aylesham and given a brand new Corsa to complete the journey. The luck of the situation was that if I hadn’t been 22 (which I now had been for an hour and a half) I couldn’t have had the car as the insurance wouldn’t cover it. Talk about cutting it fine. So we struggled to a petrol station on fumes (as any rented car always is) filled the Corsa up and headed into the snowy night. Undertaking snowploughs running two abreast on the M2 in a strange car with a (frankly far too wide) set of Continentals was not for the faint hearted. The snow cleared after Dartford and the set off with frequent coffee breaks as I was pretty tired by now. Kris was dropped outside Leeds and I arrived home to rural Durham on the A68 to find a familiar level of snow – 475mm as measured by my Dad. The final irony of the whole journey was the Corsa’s inability to cover the last three miles on the back roads home. The Mini has never been beaten here with its cheap Colways (bought to get me to work on those roads) but the Corsa was beaten twice. Thankfully I managed my third route and was able to arrive home, briefly explain to the parents and fall into bed. 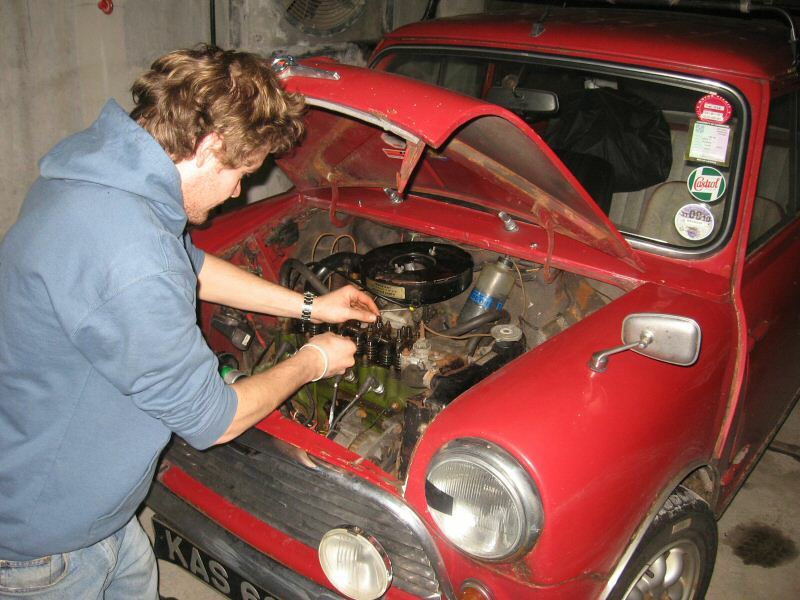 Once the garage had been dug out from the drifts enough to get my Dads Rover P5B out (so that means every bit of snow as you wont push that back up the drive in a hurry) the Mini could go in for examination. Further amusement was that the recovery lorry broke down when bringing the Mini back and once it did arrive my Dad had to change a fuse for the driver before he could get my car off. The diagnosis was pretty much what I expected with the second exhaust valve rather knackered. The question was how did the head survive? Yes, seems to be the answer. This brings the repair bill to £8 for a valve and about £4 for a head gasket. Economical certainly. I have decided to splash out on a whole new set of valves to stop it happening again. Once she was back up and running there was an interesting problem relating to the stuttering. What I assumed was damp turned out to be something else. I did doubt it was damp I’ve never had trouble before even after five hours in Norway in the worst spray I’ve ever seen. My Petronix Igniter electronic ignition seems to have given up with spectacular results as you can see in this video. I’m now back to a good old set of points and its running like a Swiss watch again.